These acrylic photo frame block consist two piece of acrylic panel, looking very brilliant and polishd, The two piece of acrylic block are sandwiched by four magetic bolts on the coners. It can stand free vertically and horizontally. 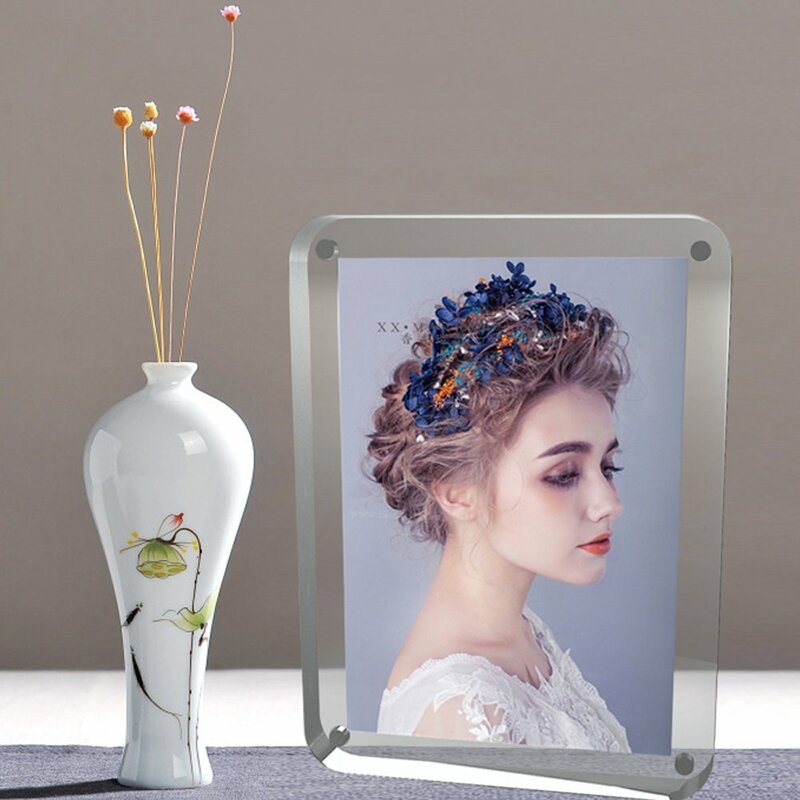 This photo display is a magnetic block frame that is for tabletop use. There is no way to hang these picture holders on the wall, as they are designed to be the centerpiece of a table, counter or mantel. 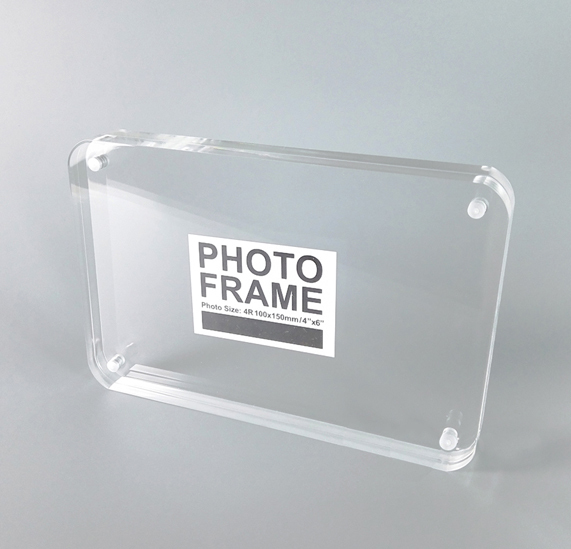 Each clear acrylic photo display is a magnetic block frame that works in any home or business. The sleek look of these picture holders will look great on any desk, mantel, or retail counter. This display for a photo is a magnetic block frame that is affordable. These clear acrylic picture holders make them the perfect gift!